Deep dark industrial ambient. A slowly evolving soundscape with boiling buzzing sounds, resonating through the dark world. The berserk was perhaps one of the world’s best fghters, which in Old Norse time sworn allegiance to the Norse god Odin. Before a battle Berserkers excited each other up and occurred in bearskin or wolf skin, hence the word berserk. In the beginning of the battle they performed exceptionally talented, indifferent battlers, but in close combat they fell into berserk. Then they howled like wild beasts, probably to frighten the enemy and incite their comrades and themselves, and then get into rages. A berserk in battle were said not to bother about any injuries, and was therefore until the enemy, or they died. Our friends at Kulturterrorismus pleases us with another fine review! In “Bärsärk” celebrates SLIM VIC an extremely entertaining gem, where the whole mag (content, sound art, presentation) fully convince – my absolute recommendation! 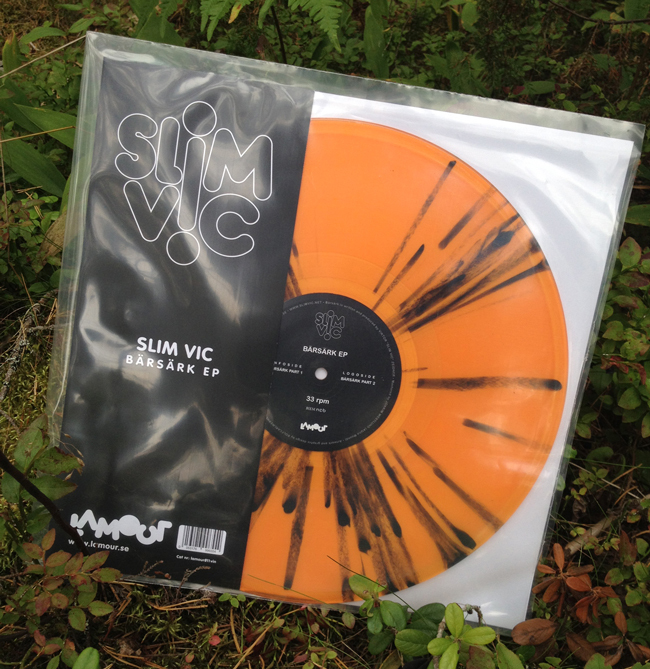 PS: “Bärsärk” SLIM VIC is a prime example of total fusion of content & sound! Surf in and read. And please check out their other reviews. Swedish national Radio P2 Elektroniskt talks and play the full B-side of Bärsärk!